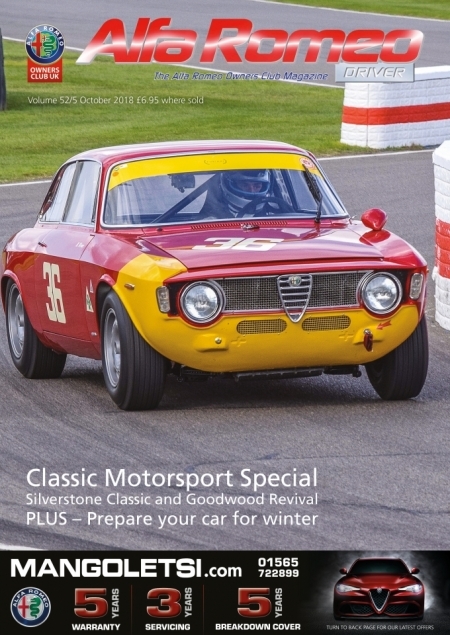 In another bumper issue, the focus is on classic motorsport and two fixtures with very different characters - the Silverstone Classic and the Goodwood Revival. While the cars at the Classic and Revival have values in the millions, we also look at the Brighton Speed Trial, where Peter Pringle competed in his 916 Spider. We have our regular updates on the progress of the Alfa Romeo Sauber team in Formula 1 and the Giuliettas in the British Touring Car Championship and the TCR UK. You may have noticed that the content of our Club magazine alters through the year, with pages of event advertisements in the February and April issues and then reports on many of those events in August and October. This June issue, however, has an element of both the advertisements and reports. 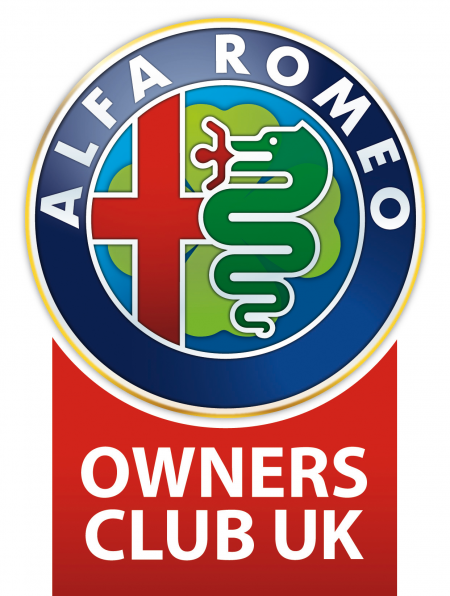 With National Alfa Day still to take place on 1st July, we can read about the sunny success of Spring Alfa Day, with over 600 cars, that took place on 22nd April. This follows the move of Paul Jones from Chris Variava to Stoneacre Alfa Romeo in Chesterfield and AROC looks forward to other promotions with Stoneacre during the year. New for 2018, we are running a ‘Show & Shine’ competition in addition to our traditional Concours. This is a (slightly!) 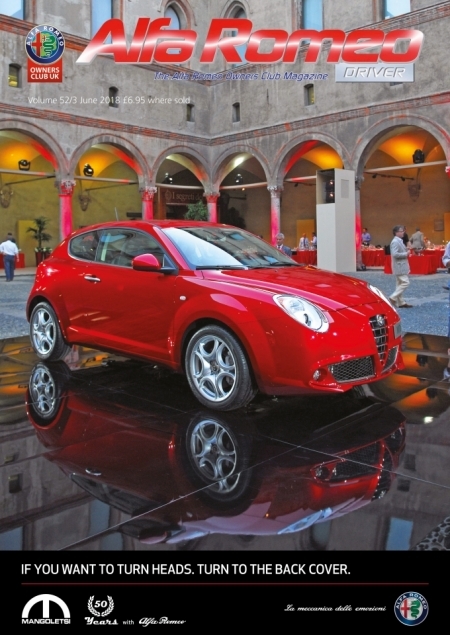 less formal competition to encourage Alfas that may not fit in the Concours, modified or non-original for example. Judging will be based on the current condition of the car, the emphasis on its general cleanliness and presentation. Just a reminder that the Concours and the Show & Shine are open to AROC members only. 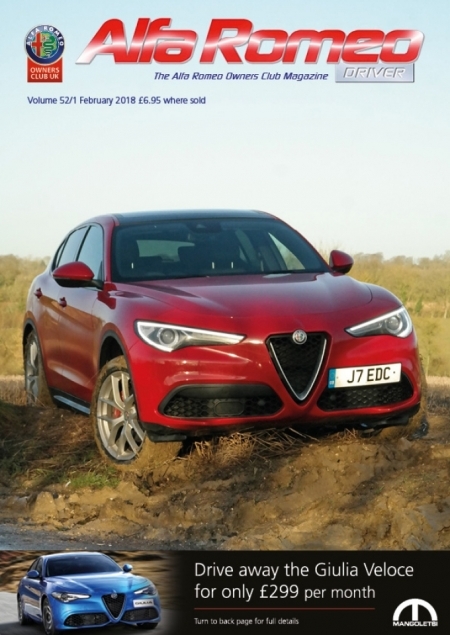 Our February 2018 magazine is full and includes an outstanding range of articles from Club members. Jon Dooley writes of Geoff Gordon’s racing Alfasud Sprint Veloce, Richard Murtha of motorsport late last year and preparing for this year, and Clive Baker of the Carrera Panamericana, Mexico’s answer to the Mille Miglia in the 1950s. Bernard Lien Lambert belongs to AROC USA as well as AROC UK and tells his tale of buying a Duetto and how the Club does things over there – their Christmas party sounds fun!